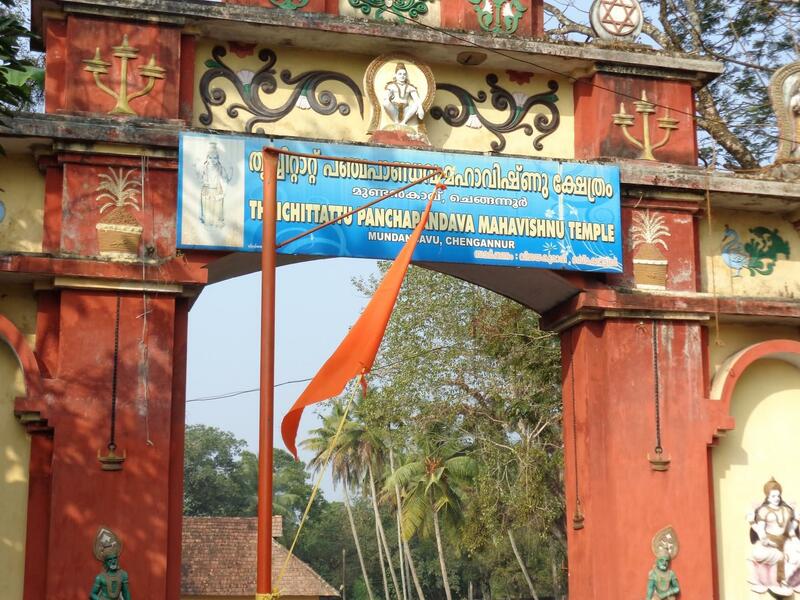 The Mahavishnu Temple, Thrichittatt, Chengannoor is one of the five Vishnu temples associated with the five Pandava brothers, the principal characters of the Mahabharata. It is believed that Yudhisthira, one of the brothers, performed penance at this site. 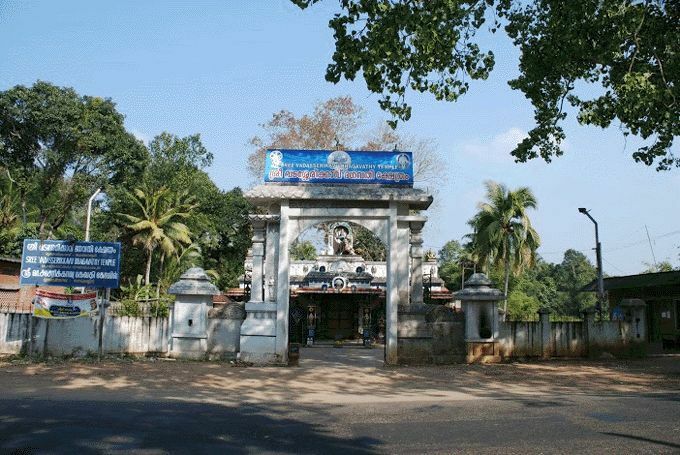 It is one of the “Divya Desams”, the 108 temples of Vishnu revered by the 12 poet saints, or Alwars. The Lord faces east and the holy tank is known Shanku Teertam (or tank of the conch). Unlike other Vishnu temples, the Lord holds the conch in his right hand instead of discuss. 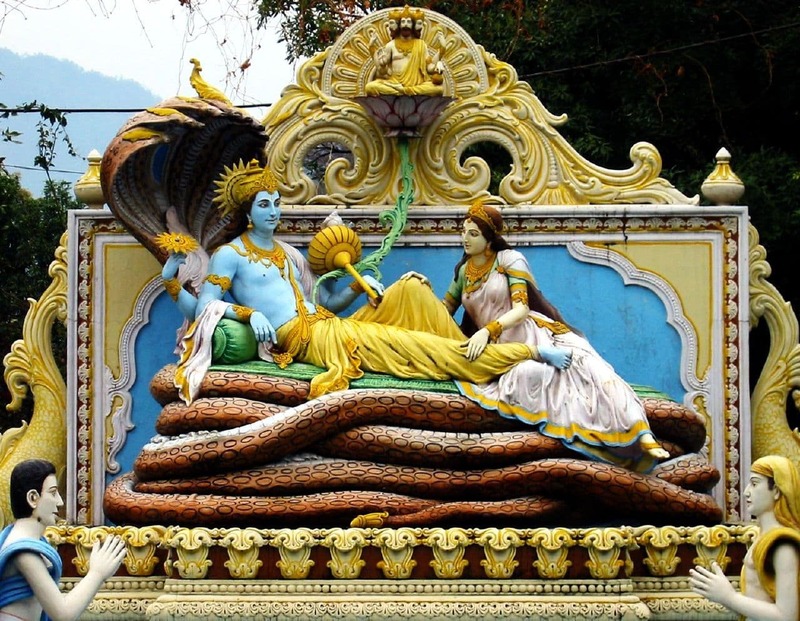 There are also shrines for Sastha and Lord Krishna. During Mahabharata war, Yudhisthira, the head of the Pandavas, who never before uttered a lie, lied in one instant to defeat his Guru, Dronacharya. To overcome the sin of the lie, he underwent penace worshipping the lord here. Imayavar(Devas) came to this place prior to Yudhisthira and hence the deity here is referred as Imayavarappar. The main murti worshiped in the shrine is Vishnu in standing posture. It is made using Krishna Shila. The unique aspect of the murti is that it holds conch in right hand instead of the discus or chakra. Subsidiary deities worshiped in the temple are Ganesha, Sastha and Goshalakrishan. Goshalakrishan has a separate quite big shrine in the temple complex. 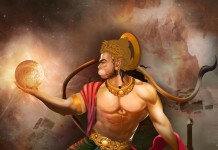 He is offered special pujas. Special rituals are observed during festivals. The temple pond is known as Shankha Theertha. The temple has a large Nalambalam and Namaskara Mandapam. Wooden carvings are another noteworthy feature. The sanctum sanctorum is round and is made out of huge stones. Lord Vishnu is worshiped here as Imayavarappan. It is believed that the murti worshiped in the temple was first offered prayers by Devas or celestial beings. 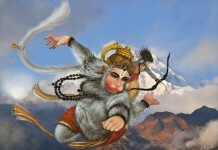 Imayavar means Devas. As per 108 Divya Desham concepts, Vishnu worshiped here is known as Devathideva Perumal. There is no murti of Goddess Lakshmi in the temple. But the divya desham concept mentions the presence Goddess Lakshmi in the shrine as Raktapankaja Valli. In the Mahabharata war, Dronacharya was invincible. To kill him Yudhishtira uttered the lie that Ashwathama, his son died. After hearing the words from the mouth of Yudhishtira, Drona put his weapons down. Dhrishtadyumna used this opportunity and cut off the head of Dronacharya. Yudhishtira carried the remorse of lying for a long period. It is believed that he did penance at Thrichittatt Mahavishnu Temple for the sin. He installed the murti and offered prayers to it here.